Scientists at EPFL and SLF describe with precision how snow and sand surfaces erode when exposed to wind. Their description can contribute to better predictions of dust emissions from deserts and snow transport in Antarctica, and can be adapted to other planets. Wind and water transport a multitude of particles with them, leading to erosion or deposits, like dust emissions from the Saharan desert that can reach Europe and snow transport that can… block traffic. Francesco Comola and Michael Lehning from EPFL and SLF accurately describe how wind flow affects a generic surface of non-homogeneous particles, like snow or sand, using a new theory that will one day help improve weather predictions. The results are now available in Vol. 44, No. 3 of Geophysical Research Letters. Descriptions of wind or water transport already exist, but this is the first time that fundamental laws – Newton’s second law and energy conservation – are used to describe how particles are ejected from a bed of particles. The new theory is powerful enough so that they can statistically predict the number of particles ejected from the surface of the particle bed and lifted into the flow, even for varying particle sizes and varying material or flow properties. The theory can be seen as a generalization of how billiard balls are scattered by the white ball during that first hit. But in many ways, the billiard table is a trivial case compared to beds of particles in nature. Instead of having a bed of only 15 billiard balls, the model can handle large numbers of particles and therefore be applied to vast areas on Earth or other planets. Instead of having only one white ball, there can be many incident particles. Instead of having billiard balls all of the same shape and size, the particles can be a mix of shapes and sizes like what we see in a handful of sand or snow. Instead of billiard balls that neither attract nor repulse each other, the particles can be sticky due to cohesive forces, like wet sand or humid snow. The scientists believe that their new model will advance the study of dune and ripple development, both in arid and polar regions. 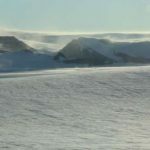 It will also contribute to improve predictions of dust emissions from deserts and snow transport in Antarctica, whose effects extend from global health to weather and climate change. The model can also help find the cause of the intense sand transport activity observed on Mars, where the low density of the atmosphere would suggest that winds are not sufficiently strong to erode surface particles. By developing several innovative experimental systems, EU-funded researchers now have a better indication of how much cosmic dust enters the Earth’s atmosphere and what impact it has. Our solar system is a dust-filled place. As comets travel around their orbits and near the sun they begin to evaporate, leaving a trail of cosmic dust in their wake. These dust particles then enter the Earth’s atmosphere at a very high speed – anywhere in the range of 40 000 to 260 000 kph – where they collide with air molecules. This collision then causes flash heating and a subsequent melting and evaporation of the particles. ‘Sometimes this dust is visible as meteors, which is the case of dust particles greater than 2 mm,’ says CODITA Project Lead John Plane. ‘But most of the dust mass entering the atmosphere is so small that it can only be observed using specialised meteor radars.’ More so, Plane says that even though we know the dust is there, there is little indication of how much cosmic dust enters the Earth’s atmosphere – the range of estimates being between 3 and 300 tons a day – and what impact it has. The CODITA project is working to clear the air on this question. To accomplish this, the project launched two successful experimental systems to study the chemistry of the metallic molecules and ions produced from evaporating meteors. According to Plane, the first system detected the metallic molecules using a flow tube reactor, coupled to a time-of-flight mass spectrometer. The system uses pulsed laser radiation to softly ionise the metallic molecules. ‘For the first time we were able to successfully study the reactions of such metallic species as metal oxides and hydroxides, which have proved undetectable by other methods,’ says Plane. The second experiment also used a flow tube, this time with a plasma source and coupled to a quadrupole mass spectrometer. ‘With this system we can study the dissociative recombination of metal-containing ions with electrons, which is the main route for neutralising ions found in the upper atmosphere,’ adds Plane. These experiments – combined with an astronomical model of dust evolution in the solar system and high performance radar measurements – show that around 40 tons of cosmic dust enters Earth’s atmosphere on a daily basis. But so what? Sure, our atmosphere may look like it needs a good dusting, but what’s the effect? According to the CODITA project, quite a lot: ‘The metals being injected into the atmosphere from evaporating dust particles are the direct or indirect cause of an array of phenomena,’ says Plane. Now, thanks to the work done by the CODITA project, it is possible to model the effects of cosmic dust on a consistent basis and from the outer solar system all the way to the Earth’s surface. But the project’s scope isn’t limited to Earth. To further understand the effects of cosmic dust on a planet’s atmosphere, the project also explores the impacts of meteoric smoke in other solar system bodies, including high temperature chemistry on Venus, the formation of noctilucent clouds on Mars, and production of benzene on Titan. I trust you have enjoyed the read! Have a great day!